If you are battling the effects of arthritis as, the majority of the US population is, you are doing it wrong. Osteoarthritis (OA), commonly referred to as just arthritis, affects 52 million Americans according to the CDC. OA is also the most common cause of disability in our country, again according to the CDC. OA is basically the bodies response to an increased or abnormal loading across a joint surface. With time, this abnormal loading results in a breakdown of the cartilage and soft tissue of the joint and is replaced with bony tissue. This bony tissue grows imperfectly and results in spurring and lipping of bone at the margins of the joint. 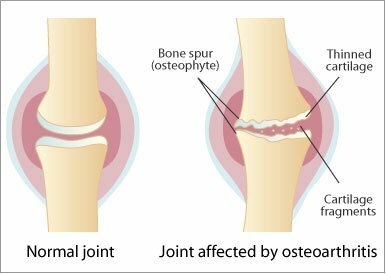 If left unchecked, the progression of OA would end with a natural fusion of the joint. We see OA most commonly in weight bearing joints which is why it is very common in the knee, hip, and spine. Once the OA process starts there is really no way to reverse it but we can slow and even stop it’s progression. That discussion is for another post,this has to do with what you might or importantly might not be doing that is making your situation worse. The first study I linked was published in 2011 and found that despite substantial health benefits of being active, persons with OA of the knee were largely inactive. 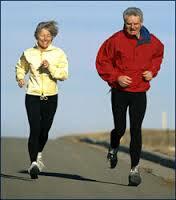 Their inactivity has to do with the pain and discomfort that comes with trying to stay active. OA is a condition of joints which doesn’t correlate well with predicting pain because people can have OA and not have pain but we know that pain and discomfort do happen. The key is to not let that pain limit your activity because in actuality activity actually is one of the correct ways to battle arthritis. According to this study published in August 2014 the authors found that, for people with OA of the knee, being more active was related to less future decline in function, independent of time spent in moderate-to-vigorous activity. Basically you need to stay active in order to successfully battle arthritis, no matter what treatment you are involved in. In our practice we encourage patients to walk, work out, take up a sport, or anything they might enjoy to stay moving. Notice their use of the terms moderate-to-vigorous which means you might have to sweat a little to do this right. If you have been battling arthritis by taking anti-inflammatory medications and avoiding activity you are doing it all wrong and will likely further decline as you age. Taking anti-inflamatory medications is not neccessarily wrong just not the best way to manage OA. Change your lifestyle today so you can have a better tomorrow, it might take a little time, effort, and some discomfort but the alternative is a poor quality of life. If you need help with where to start we would be happy to give you some advice. Call us at 630-232-6616 ask for Dr. Bryce and mention this blog post on battling the effects of arthritis.